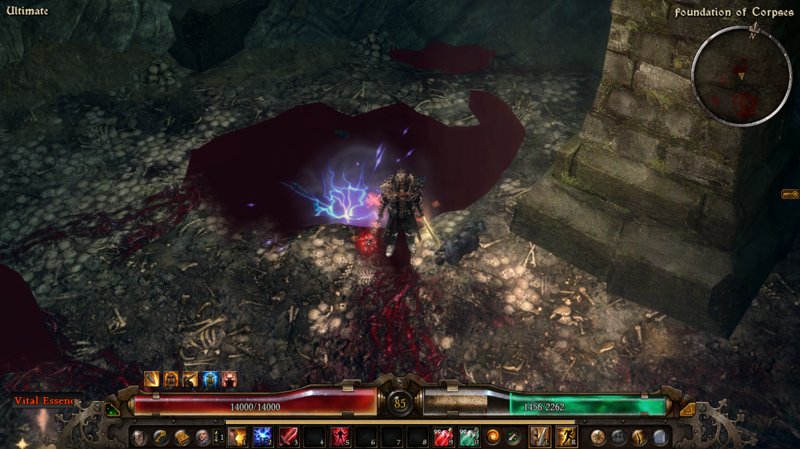 Grim Dawn Version 1.0.1.0 are bringing many quality of life changes. Legendary - Beronath, Reforged: Conversion to Elemenal removed. 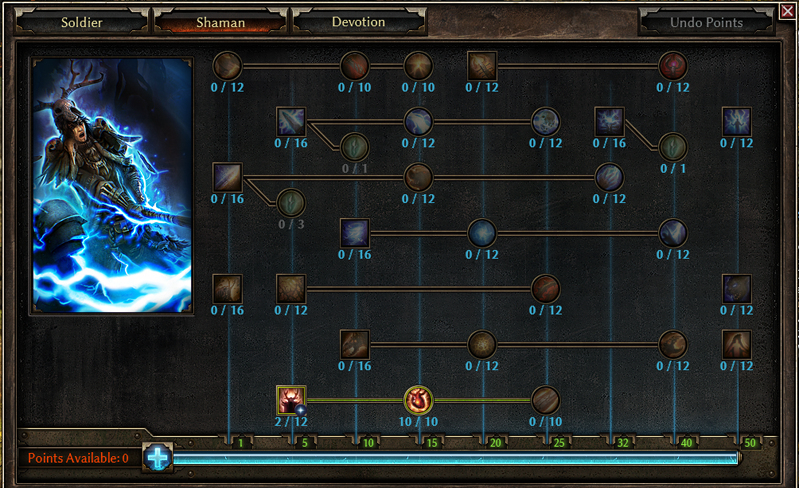 Skill proc redesigned. Now a granted toggled buff with a high energy upkeep that grants 5% Crit damage and 100% of Elemental dealt as Physical. It's really a nice idea from Dev, and we still have options for using it as Elemental weapon by untoggled the buff granted skill. With this change of Beronath, it open up more ideas for builds and gives us more support for physical builds. 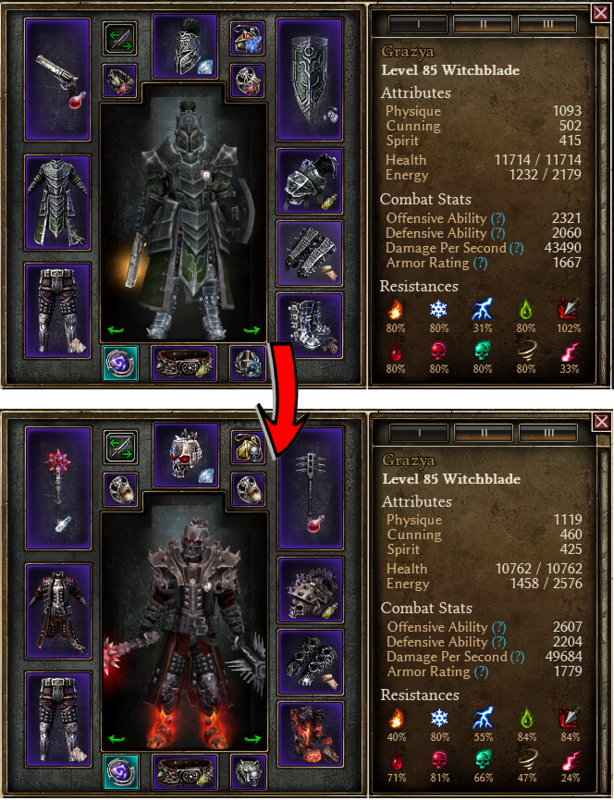 Is it possible to build dual wield melee char without Dual Blades or Breath of Belgothian from Nightblade's skill tree? 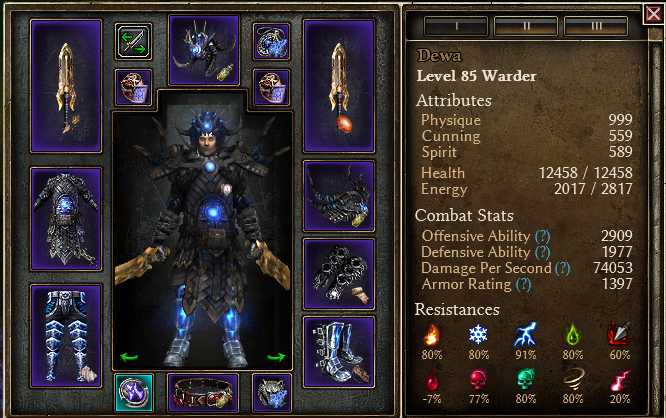 Yes there are many possibility combinations, and this Dual Wield Cadence Warder build is one of them. How can we make our non Nightblade char wielding two melee weapons? 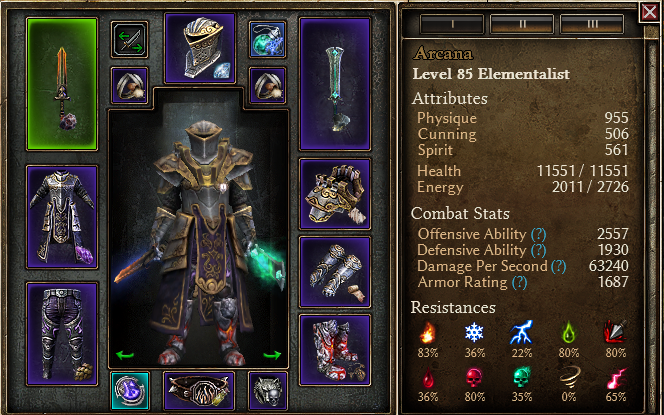 - Primal Bond is not bad, it gives us Damage Absorption, Less Damage from Beasts and boost our Physical Damage. 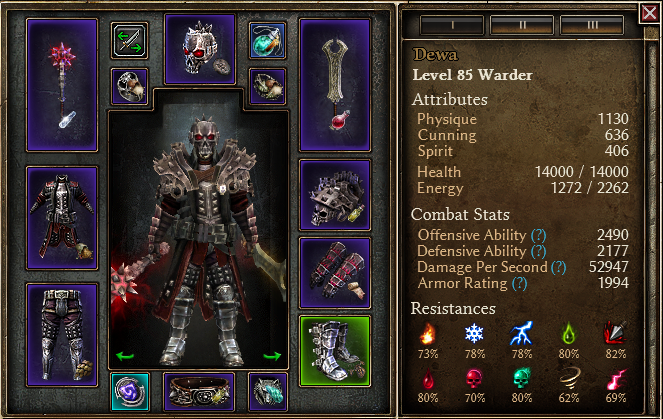 I suggest you take Primal Bond path if you want to make/switch to Bleeding Warder build later. Primal Bond is suitable for Bleeding Warder and we save more skill points, since we don't take all 50/50 Soldier Tree. 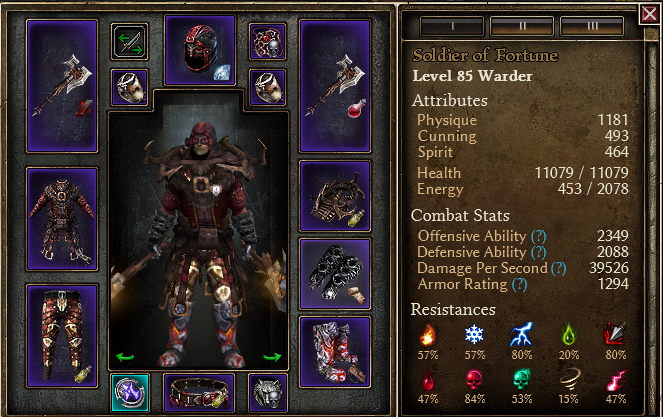 I've tried made dual wield Elementalist with jajaja's awesome Saboteur setting. Chaos Strike from Riftstone as substitute for Shadow Strike. Last edited by TZ Tz; 07-16-2017 at 12:16 AM. Not 100% about this, but isn't your right hand weapon considered "main hand weapon"? Or does the order in which you equip them determine it? 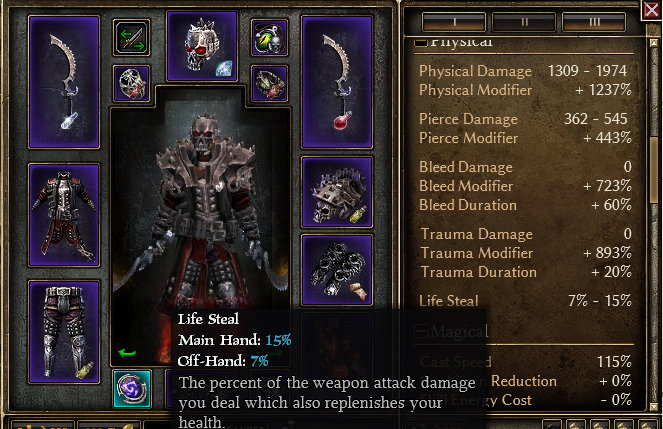 Because you should really put the sword with the Haunted steel as your main hand weapon, a lot of procs only use main hand, it would improve your lifesteal. Also, I'm curious about your reasons for choosing this weapon setup, i would think there are much better options out there (the warborn weapon for one, a Tyrant's green weapon etc.). Swords are pretty bad because the conversion to piercing is awkward. Oh, and get Fighting Form to 12/12, you have points to spare. So many, in fact, that I would definitely get 12/12 Wendigo totem and even consider getting Devouring Swarm tor bleeding resistance reduction. Last edited by GeneralCash; 11-21-2016 at 01:15 PM. 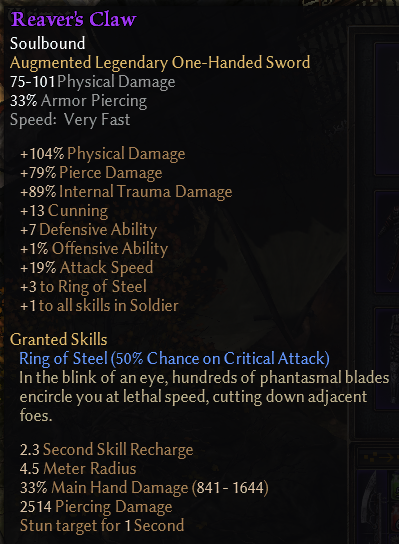 For the weapon, why I use Reaver's Claw, because it's attack speed, ring of steel proc, and +1 to Soldier skills (Total we get +6 boosting Soldier Skills and 197% Attack Speed). I don't use Wendigo Totem, 'cause I think current Life steal is enough, and it feels too much active skills. 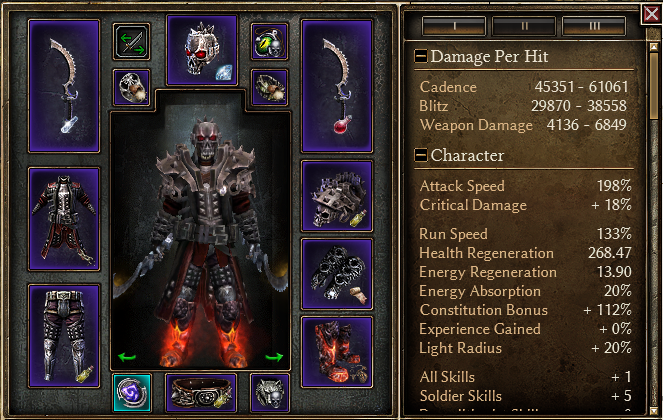 This build is using Physical as main damage's type. That's why I don't picking Wendigo Totem and Devouring Swarm. Last edited by TZ Tz; 11-21-2016 at 05:34 PM. Glad to see other people are playing around with that medal on a Warder. 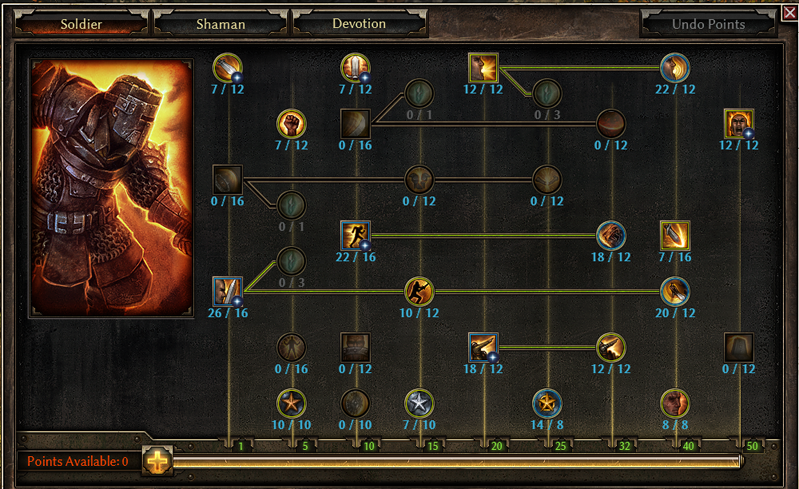 I've been messing with a Blade Arc build, trying to fit enough Mana regen onto my kit to make it doable. Blade Arc chews through a non-caster's mana like it was grape gum's flavor. Savagery is my next attempt to be made. 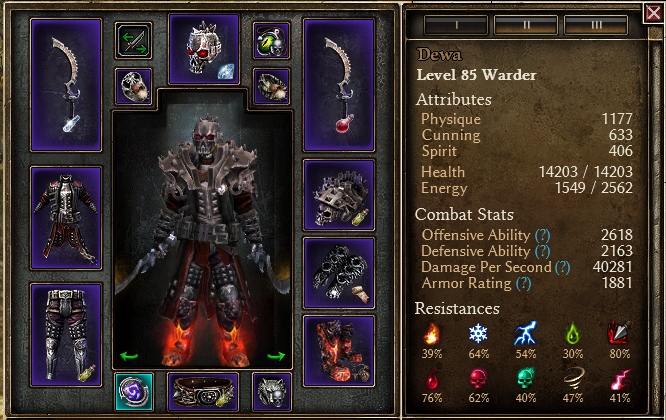 Because the world of Grim Dawn sorely lacks for Lit Builds. Hmm... just my personal opinion, but I think you have a lot of wasted points. I don't see the point of capping out veterancy (1 pt wonder), overcapping field command (12/12 is fine), and overcapping markovian's advantage (1 pt wonder). With +6 to soldier, you can use that to your advantage in maximizing the 1 pt wonder skills and actually cap out or overcap the really strong soldier skills. You said you're a physical build, but you don't cap out break morale? Also, like you said, markovian's advantage and blindside's DA reduction don't stack, but markovian's advantage rarely procs from a cadence build. It has a 25% chance to proc on 2/3 of your attacks (3rd hit being cadence overrides any WPS). So instead, you can use all those points you have and max out blitz and blindside (which procs DA lowering on every hit to 8 enemies). Also, I personally would max out soldier mastery and take oleron's rage. With your +6 to soldier, +3 to oleron's rage (from chausses of barbaros), and +2 to oleron's rage (from unchained grasp of might), 1 single point nets you 12/12 oleron's rage. 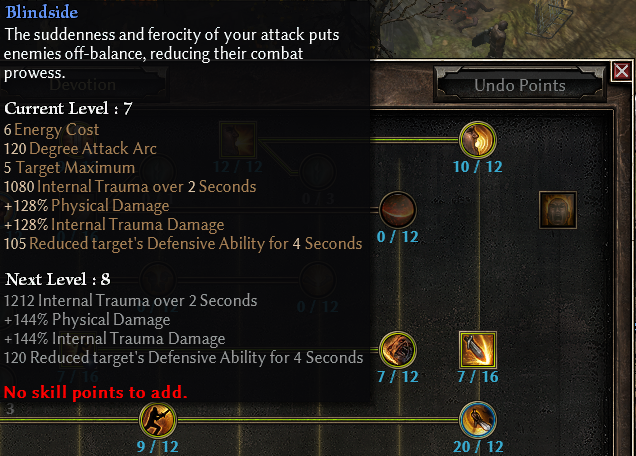 That gives you lots of relevant dmg, +12% OA, and 12% movespeed (capping out your movespeed). You can take out points from primal bond and use that in soldier tree. Also, I don't see any reason to cap out oak skin. You can also use those points to fill out soldier tree, or get wendigo totem. Devotion and skills are updated. Last edited by TZ Tz; 11-23-2016 at 12:46 AM.